Ultra-lightweight design has made this bunker rake better than ever before. Smoothing out our ultra-lightweight design has made this rake better than ever before. And it shows! Available in Boxes of 25 - BEST VALUE For Golf Courses! 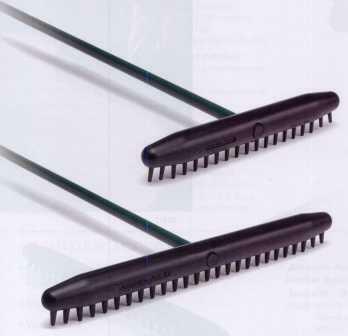 2/28/2013 – Could you please quote us for 25" Rake Head + Green Honeycomb Handle, quantity= 300 units? I would like to import them to . . .